Whether you love it or hate it, winter is definitely in full swing. 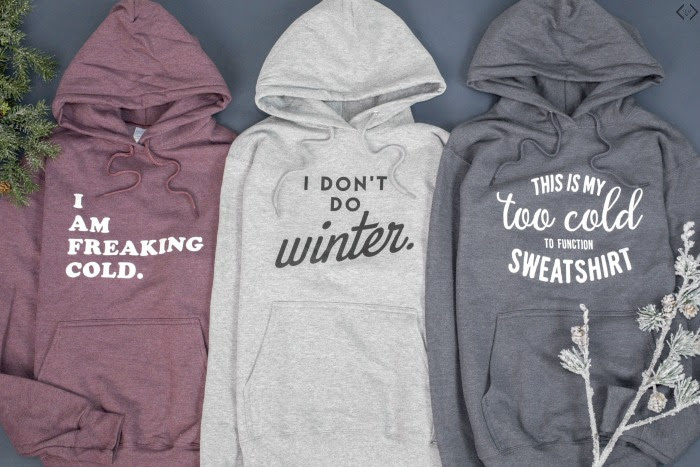 These are the comfiest hoodies of all. Not only are they comfy and warm, but they’re cute and fun! Choose from 3 different sayings/colors with this crazy good deal! The code is COZYHOODIES and it will make each hoodie just $24.95 with FREE SHIPPING! The code is valid now through 1/6.